Brown was born on October 25, 1924, in Seattle, Washington, but the family moved whenever his father’s job as divisional manager for a liquor company required relocation. Brown’s father had played semi-professional baseball, and during high school Brown played baseball in a weekend league in San Francisco alongside Jerry Coleman and Charlie Silvera, both future Yankee ballplayers. Brown enrolled in Stanford University in 1942 and also enlisted in the US Navy. He was appointed to officer candidate school at University of California, Los Angeles, and was eventually assigned in 1945 to New Orleans to enroll at Tulane University Medical School. He played baseball for only a single season at Tulane, then served in World War II, returning in 1946 to make his major-league debut with the New York Yankees on September 22, 1946. 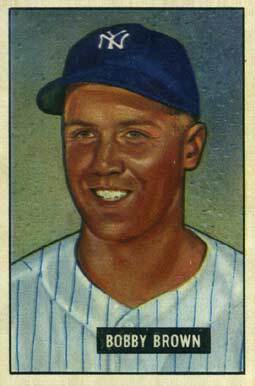 In eight seasons with the Yankees (1946–1952, 1954), Brown was a member of four World Series championship teams (1947, 1949–1951). 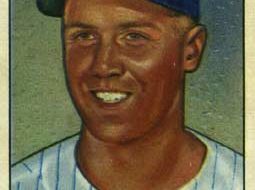 He would have earned a fifth World Series ring in 1953 had he not been called to serve in the Korean War. At the age of twenty-nine, he retired following the 1954 season to set up his medical practice in the Dallas–Fort Worth area. “I could have been a better player if I wasn’t in med school, but I’d have been a better student, too, if I wasn’t playing ball,” he told the Dallas News in 2013. Having postponed his wedding in 1951 for five days due to a rain-delayed World Series, Brown finally married Sara French, a student at Newcomb College in New Orleans to whom Brown’s sister had introduced him in 1949. After twenty-five years as a practicing cardiologist, Brown returned to baseball as the vice-president of the Texas Rangers in the American League. In 1984 he was selected as the president of the American League, and he served in that capacity until 1994. Brown still participates in the annual Old Timer’s Day ceremonies at Yankee Stadium alongside his old roommate Yogi Berra, the only living members of the 1947 Yankee team that won the World Series. Dr. Brown still resides in Texas. Gisclair, S. Derby "Bobby Brown." In https://64parishes.org Encyclopedia of Louisiana, edited by David Johnson. Louisiana Endowment for the Humanities, 2010–. 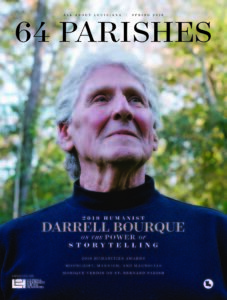 Article published January 27, 2014. https://64parishes.org/entry/bobby-brown. Frommer, Harvey. New York City Baseball: The Last Golden Age, 1947–1957. Madison: University of Wisconsin Press, 2004. Kahn, Roger. The Era, 1947–1957: When the Yankees, the Giants, and the Dodgers Ruled the World. Lincoln: University of Nebraska Press, 2002. Ziegel, Vic. Summer in the City: New York Baseball, 1947–1957. New York: Harry N. Abrams, 2004.